The beautiful grounds of The Mar-a-Lago Club will host the $125,000 Trump Invitational presented by Rolex and raise money for the FTI Consulting Great Charity Challenge. Photo (c) Robert Stevens. 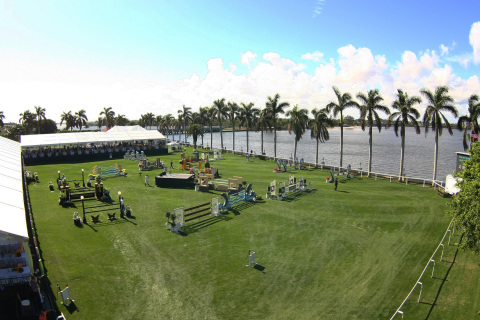 A scenic setting for equestrian show jumping on the Intracoastal Waterway at The Mar-a-Lago Club for the $125,000 Trump Invitational presented by Rolex. Photo (c) Sportfot. 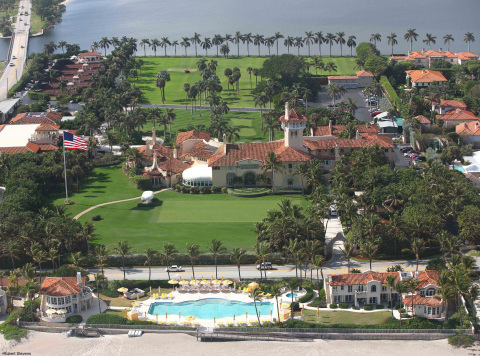 WELLINGTON, Fla.--(BUSINESS WIRE)--Donald Trump and Mark Bellissimo announced today that they will host the second annual Trump Invitational on Sunday, January 5, 2014, at the beautiful Mar-a-Lago Club in Palm Beach, FL. The $125,000 Trump Invitational Grand Prix presented by Rolex will showcase 35 of the world’s top riders in an FEI world ranking competition. Once again, the Trump Invitational will benefit the 2014 FTI Consulting Great Charity Challenge presented by Fidelity Investments® (FTI GCC), which has raised more than $4.2 million dollars over the last four years for over 90 Palm Beach County charities. It will also serve as the kick-off party for the 2014 FTI Consulting Winter Equestrian Festival, the 12-week circuit that runs at the Palm Beach International Equestrian Center on January 8 - March 30, 2014. “Last year's Trump Invitational was a spectacular one-of-a-kind event. In addition to showcasing equestrian sport's top athletes in a FEI world ranking class, the event was instrumental in achieving our record-breaking fundraising for the FTI GCC,” said ESP CEO Mark Bellissimo. The 2014 FTI Consulting Winter Equestrian Festival (FTI WEF) has 12 weeks of world class competition running from January 8 through March 30. The FTI WEF is run by Equestrian Sport Productions and Wellington Equestrian Partners and held at the Palm Beach International Equestrian Center in Wellington, FL. All 12 weeks are "AA" rated and Jumper Rated 6, with more close to $8 million in prize money awarded. Please visit www.equestriansport.com for more information. Founded in 2010 by Mark Bellissimo and his daughter Paige, the FTI Consulting Great Charity Challenge presented by Fidelity Investments® raises and distributes money to Palm Beach County based charities. This unique show jumping event aligns 34 show jumping teams with 34 randomly selected charities that serve the county. Please visit www.ftigreatcharitychallenge.com for more information. Donald Trump and Mark Bellissimo announce that they will host the 2nd annual $125,000 Trump Invitational presented by Rolex on Sun., Jan. 5, 2014, at the beautiful Mar-a-Lago Club in Palm Beach, FL.